Dendritic cells trigger an adaptive immune response by activating two major classes of T lymphocytes—cytotoxic T cells that can kill infected host cells, and helper T cells that direct the activities of other immune cells. Cytotoxic T cells recognize class I MHC receptors loaded with antigen, whereas helper T cells recognize class II MHC-peptide. Dendritic cells constitutively express high levels of both class I and class II MCH molecules, making them the most potent activators of T cells, capable of stimulating even “naive” T cells that have never encountered antigen. Image: A human lymphocyte (pink pseudocolor) scans the surface of a dendritic cell (blue pseudo-color). The image was obtained using a field emission scanning electron microscope. Scale bar 1µm. 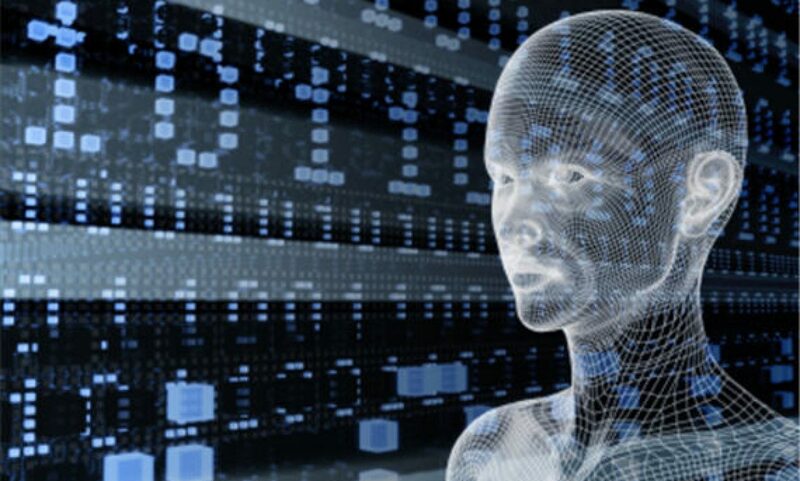 via Scientists Work To Unravel Mystery Behind Woman Who Doesn’t Grow | Singularity Hub. We humans have long wondered how, exactly, we develop from embryos into adults. This photo of an embryonic smooth muscle cell hints at the tremendous complexity of this fundamental biological mystery. And for those of you who might be wondering just what smooth muscles are, they’re the involuntary muscles found in places like the walls of our blood vessels, the digestive tract, the bladder, and the respiratory system. This exquisite photo was produced using laser scanning confocal microscopy — a precise imaging method that includes the dimension of depth for scientific analysis. Here, green is used to label thin filaments of the protein actin, which is a key component of the cell’s cytoskeleton, and blue indicates another protein, called vinculin, which is enriched in locations involved in cell-cell adhesion. 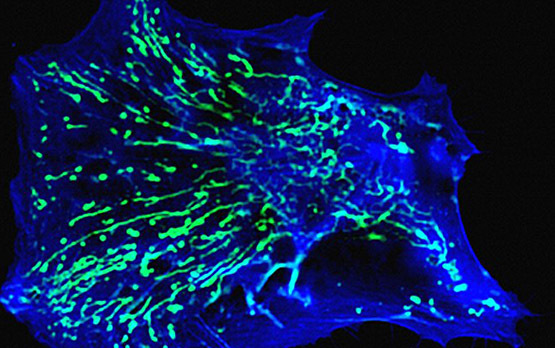 via The Beauty of Smooth Muscle | NIH Director’s Blog. Leprosy bacteria can reprogram cells to revert to a stem-cell-like state, able to mature into different cell types, researchers report today in Cell1. The scientists stumbled on the discovery while researching the way leprosy spreads around the body. The mechanism of the hijacking is unclear, but reproducing it could lead to new stem-cell-based therapeutic strategies. 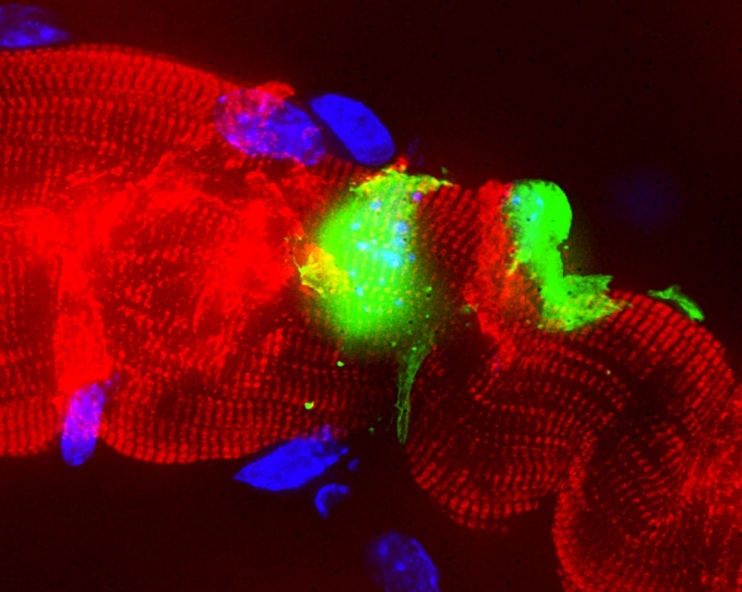 Mouse nervous-system cells (green), hijacked and turned by leprosy bacteria into stem cells, attack muscle fibre (red). via Leprosy bug turns adult cells into stem cells : Nature News & Comment. Developed in 1897 by the German chemist Felix Hoffmann, aspirin, or acetylsalicylic acid, has long proved its value as an analgesic. Two millenniums before that, Hippocrates, the father of modern medicine, used its active ingredient — which he extracted from the bark and leaves of the willow tree — to help alleviate pain and fevers. via Aspirin, the 2,000-Year-Old Wonder Drug – NYTimes.com. 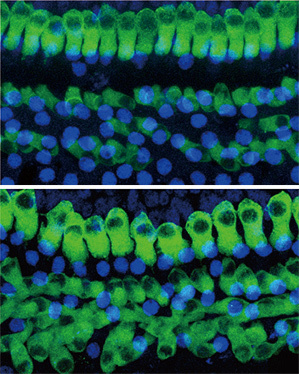 via Drug Stimulates Regeneration of Sound-Sensing Hair Cells and Partial Recovery of Hearing in Deaf Mice | MIT Technology Review.